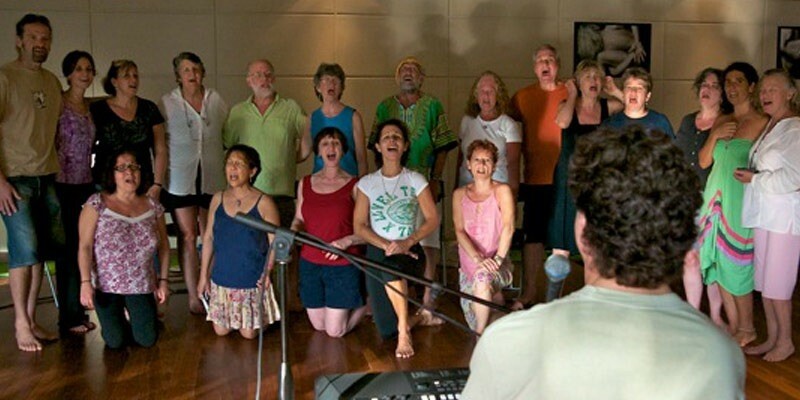 “The Natural Singer Workshop is a profound learning experience. The growth in the participants is truly amazing. “The room was full of energy, support and breakthroughs. “Inevitably, each voice is clearer and stronger. So is the emotion. So is the power of the song and singer. 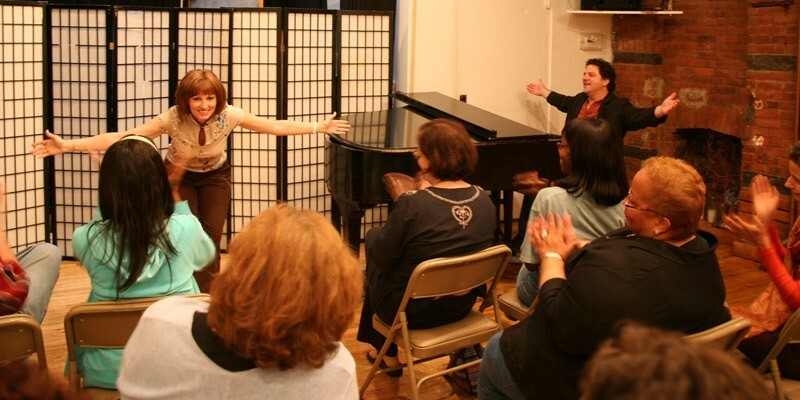 Claude Stein is a Multi-Platinum award winning voice coach whose private clients include artists on Atlantic, Island, Elektra, Sony, Island, Virgin, Polygram, Megaforce, Warner Bros., R.C.A. and M.C.A. Records. He is on the perennial faculty of the Omega Institute, the New York Open Center, the Kripalu Center for Yoga and Health, Breitenbush Hot Springs, Esalen Institute, the Center for Professional Excellence, Mobius Executive Leadership and the Massachusetts General Hospital Leadership Academy (Harvard teaching hospital). 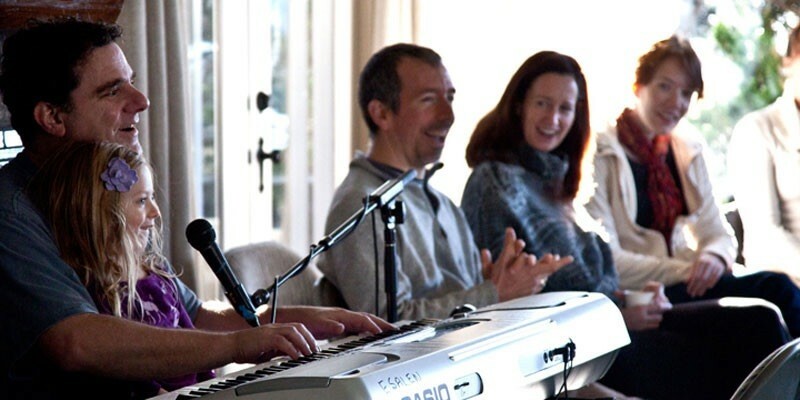 His Natural Singer programs have been presented at the Juilliard School, NYU’s music therapy graduate program, the New York Actors Institute, the Rubin Academy in Jerusalem, Canyon Ranch, Six Sensory Leadership, Grace Spiritual Training, Rowe Camp and Conference Center, Paths of Light, Windsong Retreat Center, New York Cares, The Caring Community, St. Anthony’s High School, Bach to Rock, the North American Jewish Choral Festival, the California Institute of Integral Studies, Woodstock Manor, and The Learning Annex. Claude has been training people from all walks of life, blending psychology and music for the past 32 years. He majored in music composition at Bard College, studied vocal physiology at the Voice Foundation sponsored by Jefferson Medical College, directing at the New York Actors Institute and vocal technique with Katie Agresta, Joseph Porello, Adrienne Angel, Pat Bellanof and Dr. William Riley. His mentor, Ellie Ellsworth, is the co-founder of the Cabaret Symposium at the Eugene O’Neil Theater Center. 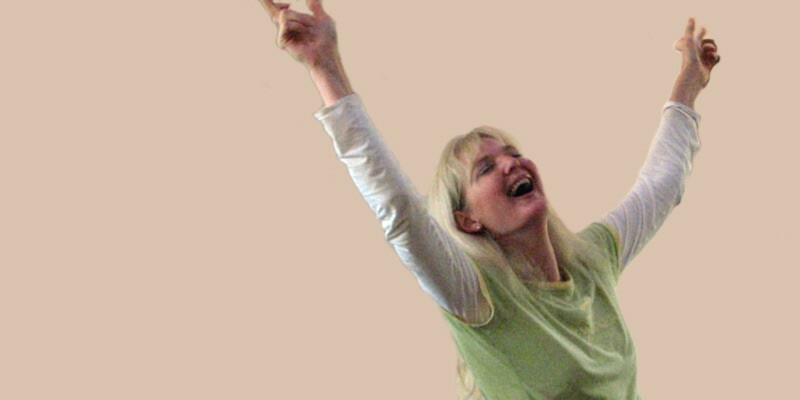 He has successfully taught thousands of people across the United States, Middle East, Asia and Europe to communicate with greater passion, power and ease. VoiceLeader, a corporate program for leadership, presentation and teambuilding has been offered in the U.S. House of Representatives and to senior management at Accenture, N.A.S.A., Sprint, JPMorgan, General Electric, Siemens, Johnson & Johnson, Kaiser Permanente, The Hartford, Altria, Genzyme, Maersk Shipping, the MIT Sloan School of Management, the Conference Board, New Balance, the Center for Creative Leadership, Vistage International, Search Inside Yourself Leadership Institute, and the Young President’s Organization. He has been a main stage keynote speaker for the National Speaker’s Association, the International Coaches Federation, the California Workforce Association, the Creative Problem Solving Institute, the Global Sufficiency Summit, the Qualitative Research Consultants Organization, The Inter-American Development Bank, and the World Bank. Pro-bono programs have been offered at The Alia Institute, Every Voice Counts, The Mastery Foundation, The Global Sufficiency Network, The Boys and Girls Club of America, and the Kiwanis Club. The approach Claude developed blends easy-to-learn vocal skills with innovative performance techniques that enable people to overcome performance anxiety and express themselves fully, authentically and powerfully. It is a unique method that quickly empowers both beginners and professionals alike. The results are simply beyond words. Click here for Claude’s VoiceLeader corporate programs.